Quinta do Noval vintage Port, 2004, is a fruity and fresh-tasting Port which is dense filling the mouth with black fruits and firm tannins with a hint of ginger and clove spices. The nose carries blackberries and blackcurrants while sweet fruits dominate the palate. It is young but with its ripe fruits it will be accessible soon and has the capacity to age for another 20 years at the barest minimum. The grapes were harvested between late September through until late October during glorious weather other than for a couple of days rain right at the end when almost all of the grapes were safely in. The 2004 Vintage Noval has a truly fabulous, intoxicating, sensual bouquet with pure ripe macerated black cherries, baked earth, boysenberry jam, violets and minerals. This might represent the finest Noval Vintage under Christian’s tenure thus far. The palate has firm tannins that underpin this more masculine Port. It is well-structured and focused, with a wonderful build toward the finish that has fig, peach skin, tobacco and cloves gliding across the mouth. For sure, seek out the Nacional if you wish, but frankly speaking I would be just as satisfied with the Noval. Drink 2018-2050. Quinta do Noval is famed for producing the iconic, legendary and debatably greatest port around called Quinta do Noval Nacional, produced from a small patch of vines not hit by the Phylloxera outbreak that wiped out most of the Douro and thus not grafted onto American rootstock. Though some years the quality of the Noval surpasses the Nacional. 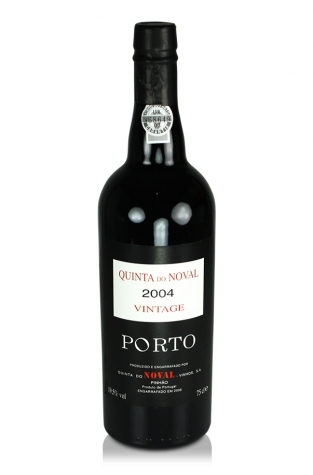 This port lodge has been producing exceptional port for years in limited quantities.